So far, the current decade has been a series of successful years for the business intelligence market. With the rise of big data, predictive analytics and a number of other major trends, software platforms that use BI to its fullest possible potential have brought a great deal of benefits to businesses in countless sectors. So far, the current decade has been a series of successful years for the business intelligence market. With the rise of big data, predictive analytics and a number of other major trends, software platforms that use BI to its fullest possible potential have brought a great deal of benefits to businesses in countless sectors. Even though growth in spending related to analytics and BI has somewhat decreased from its initial furious pace, it does continue to expand. 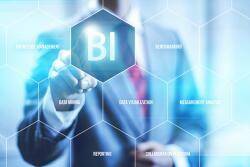 According to predictions that have been released for 2014, BI is likely to continue on its upward trend, or at the very least remain at a consistently positive pace. Additionally, these reports have identified the trends among businesses that are likely to be dominant in the market throughout the next year and beyond. It will behoove business leaders and IT personnel to review this information and begin developing their plans for updating or expanding their big data projects with a well-rounded perspective. In a recent blog post entitled “How to Have the BI Cake and Eat It Too,” market research firm Forrester made it clear that the priorities of a company’s primary workforce and its IT department do not always match up. However, this does not mean that they can’t work together, and in fact, they must to ensure real success. The firm stated that because the lion’s share of BI content will be employed by business users, it naturally follows that their needs have to be prioritized – to a certain extent at least – ahead of IT’s demands for requirements, in order to best serve the company’s bottom line. IT must focus on establishing infrastructure, support tools and general oversight for BI, rather than attempting to dictate its tempo. Additionally, Forrester stated that it will be wise for firms to segment their BI and analytics into three categories – personal user-created content, shared user content and production-related content used across the business. This allows IT and business users to work in concert most effectively. InformationWeek recently completed its 2014 InformationWeek Analytics, Business Intelligence and Information Management Survey, and its results can be viewed as predictors for the coming year. For example, as 44 percent of its respondents cited the need to know customer behavior in advance as a major priority, predictive analytics can be expected to remain in high demand. Also, the source found that ease of use, data visualization and self-service would remain major priorities for businesses seeking BI and analytics platforms.